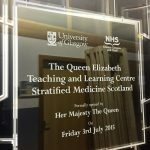 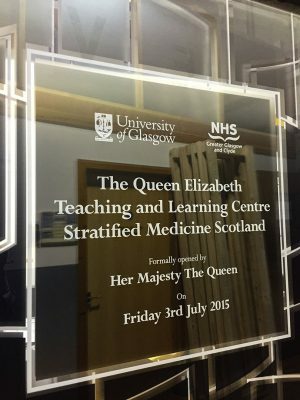 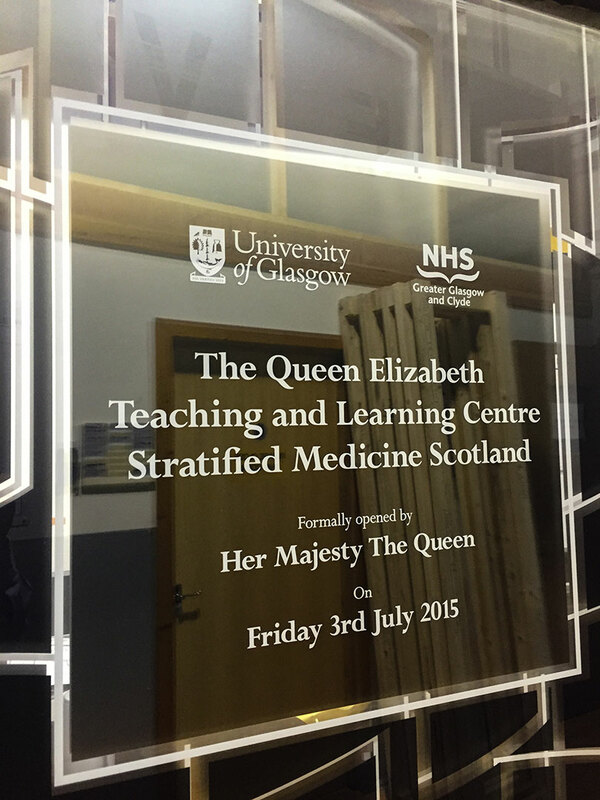 Her Majesty the Queen unveils commemorative plaques at Glasgow’s new Queen Elizabeth University Hospital. 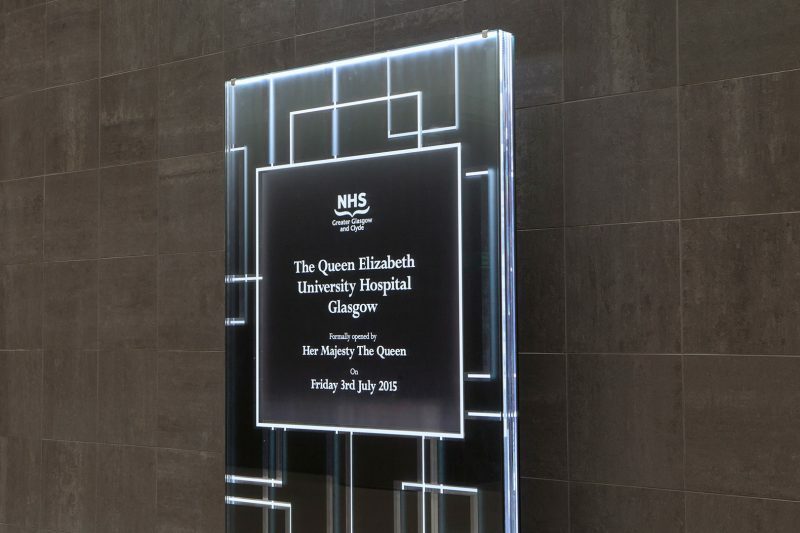 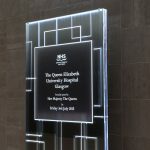 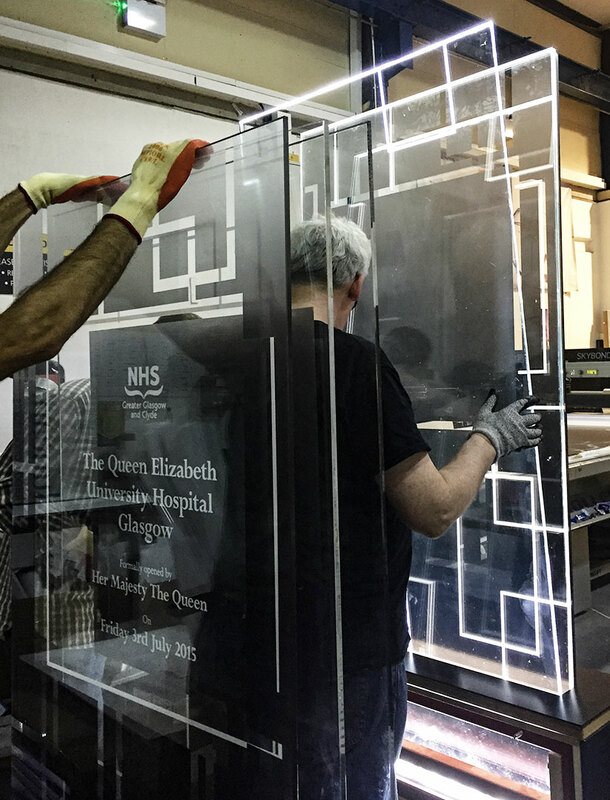 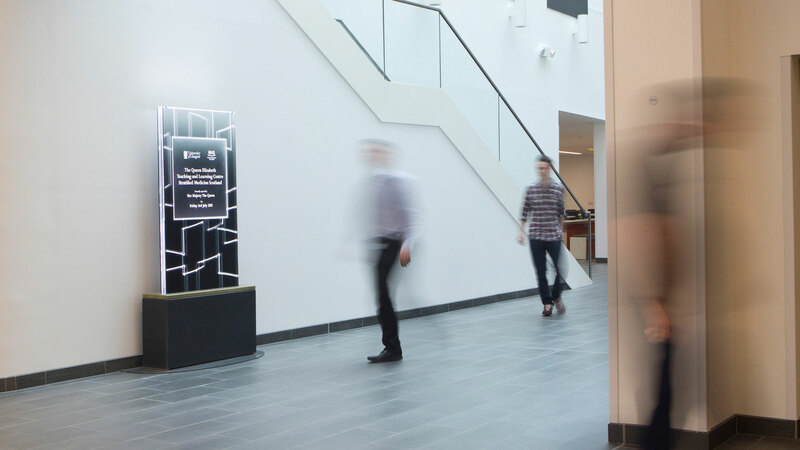 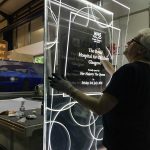 To commemorate the opening of the new world-class Queen Elizabeth University Hospital in Glasgow by Her Majesty the Queen, EVM collaborated with design group SevenFive Creative who came up with a concept for creating three illuminated glass fabrications to be positioned within each of the three inter-dependent new medical facilities that made up the hospital campus. 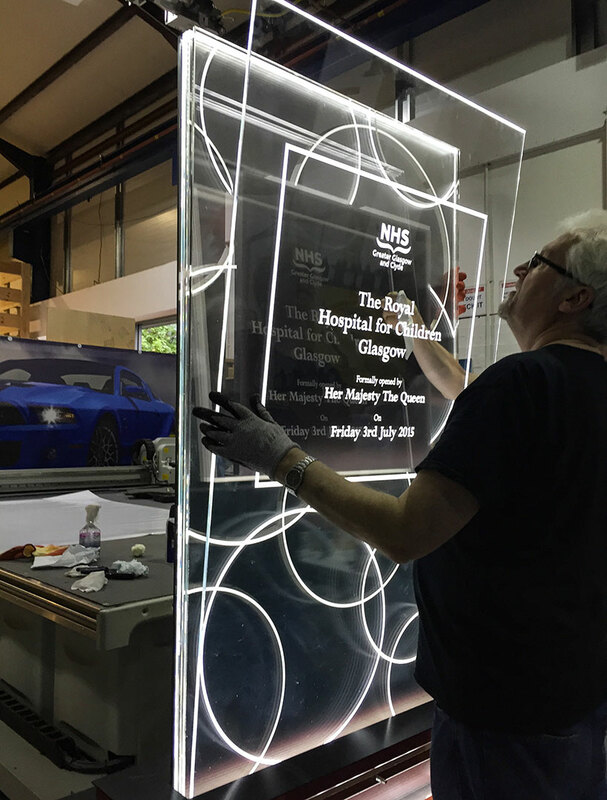 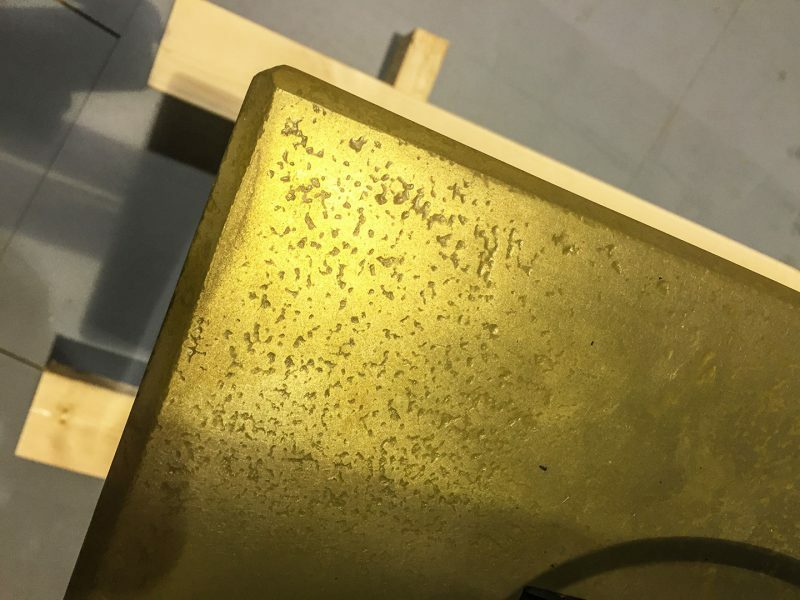 EVM’s talented makers’ rose to the challenge by imaging the designer’s graphic concepts onto individual layers of toughened glass. 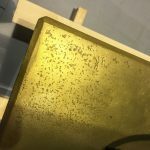 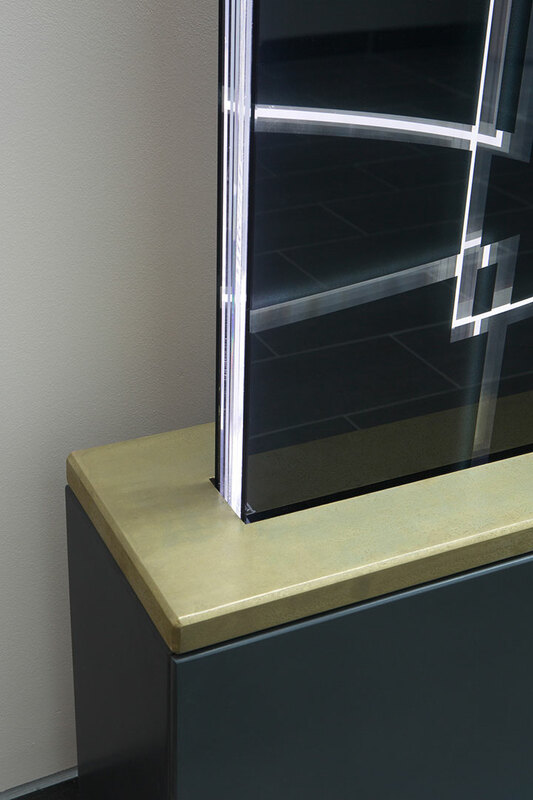 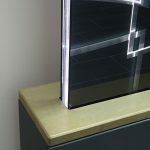 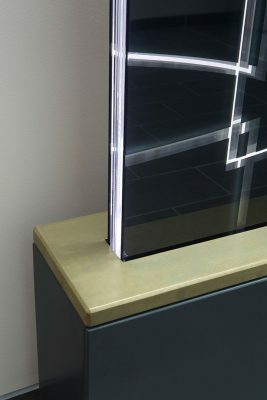 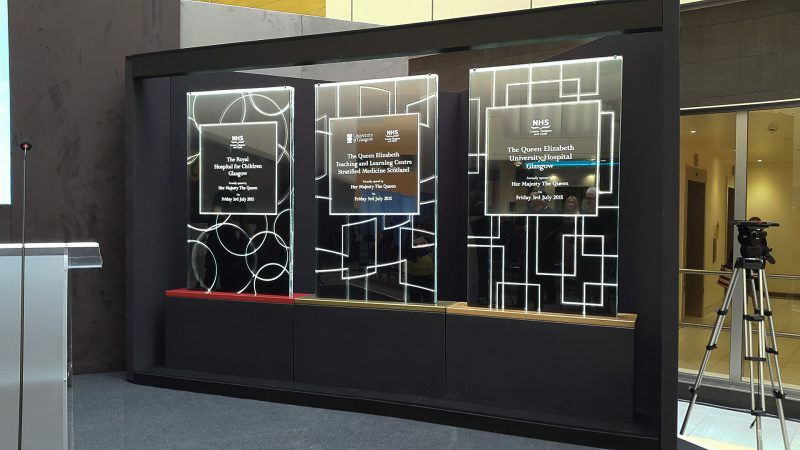 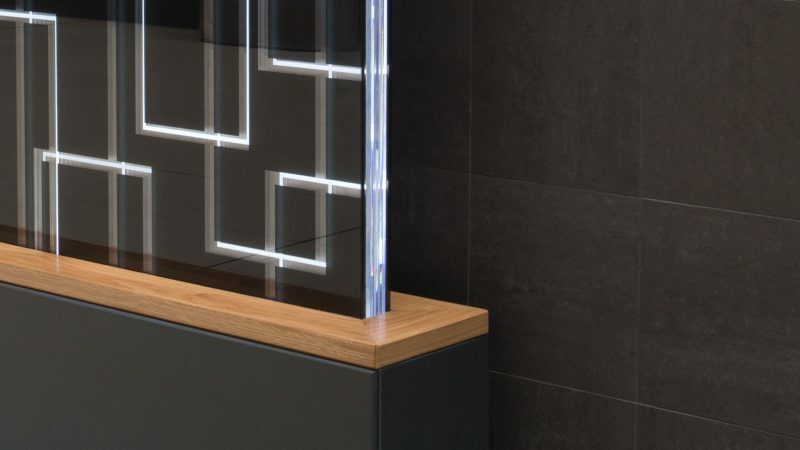 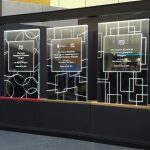 The three designs were then assembled as the designer’s intended and mounted into each of three bespoke plinths made from different materials; Corian, Brass and American White Oak. 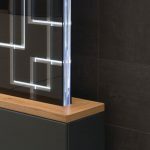 Each glass monolith was illuminated from below, with each layer of glass refracting a powerful LED light source through the combined layers of glass and unique designs – with amazing results. 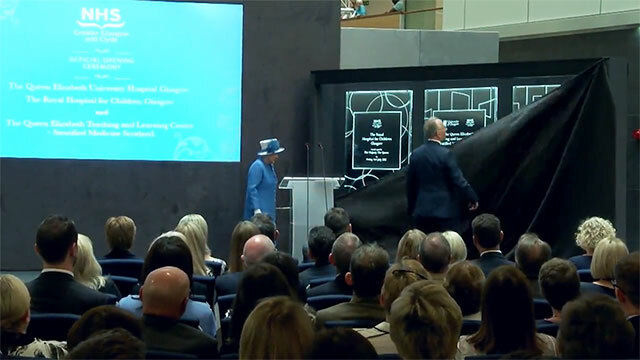 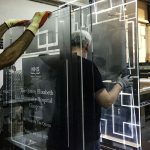 Her Majesty the Queen revealed all three innovative glass fabrications during the official Hospital opening ceremony on the 3rd July 2015.